Jiger, from Gamera's 6th movie. Jiger impregnates Gamera via a spiked tail, and two boys in a minisub take a fantastic voyage inside the turtle to root out the parasitical baby. 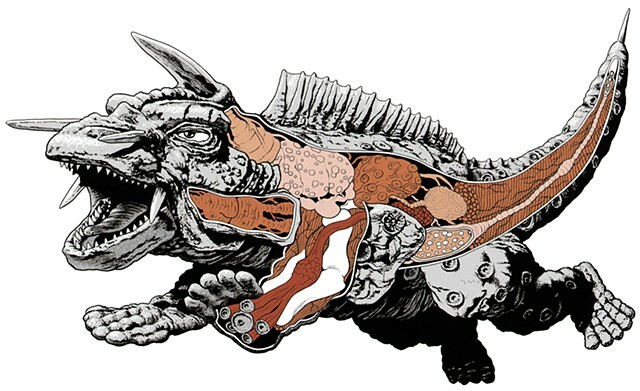 Only a monster geek would have therefore included a minisub in his diagram of Gamera's anatomy.